One of the best things about expecting is the fun of planning and doing up a new room for your little arrival. 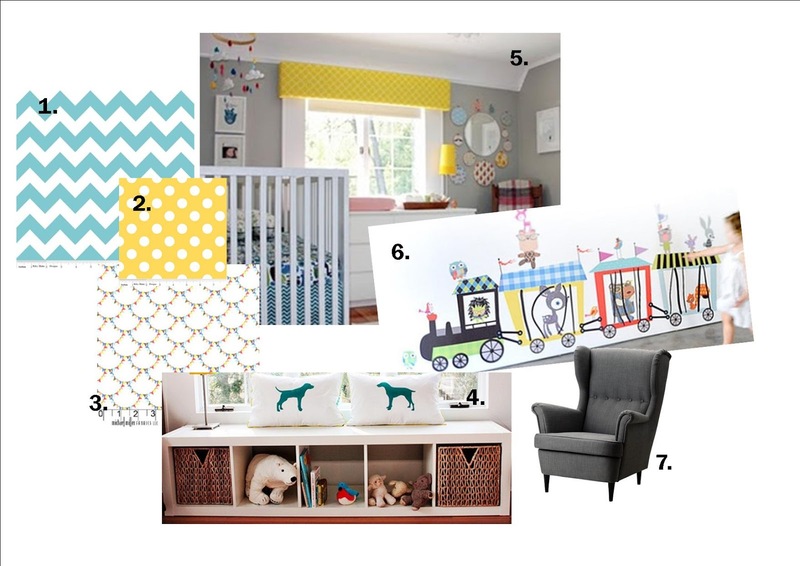 B2 is a mystery baby so I have been looking for ideas that are gender neutral but still fun. I will be spending a whole lota time in there once buba has arrived so I think its important that it's a space thats comfortable and enjoyable for mama too. I have a wooden window pelmet all ugly and plain and just hanging out to be covered in that gorgeous Riley Blake aqua chevron. If I can convince Granny domestic too say yes, she has a beautiful old red wingback chair she had shipped out from Scotland that will save us getting the Ikea one. Our one big expense in this room will really be the wall decal from Pop & Lolli but I think for the quality and impact it will have on the room it will be well worth it. **I can honestly say there is not a trace of a beard on my chin FYI. Make sure to stay tunned to check on my progress.